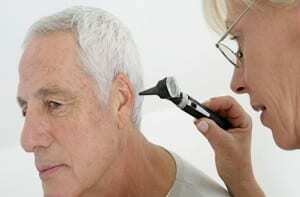 Hearing loss can come on so gradually that you don’t even notice it until it becomes pronounced. Other times, it can be quite sudden. However, no matter how quickly or slowly your hearing worsens, it’s important to have an audiologist hearing test before opting for hearing aids. An audiologist is a medically trained professional more than capable of determining not only the severity of your hearing loss, but possibly the cause, and whether or not you can expect it to continue to grow worse. With a professionally administered hearing test, you also gain greater insight into many other things, including what sort of hearing aid will be best for your needs, and if you might need to change hearing aid types in the near future. Some hearing aids are suitable for mild hearing loss, while others can benefit those with a wider range of severity, from mild to moderate, or mild to moderately severe, or all the way up to severe. The catch is that without professional guidance and the results from an audiologist hearing test, it can be difficult to know where you fall on the spectrum and which hearing aid model will be the right fit for your needs. At Pindrop, we employ professional audiologists for just those reasons. We can provide you with a full hearing test and assessment, and then answer your questions and demonstrate the hearing aid models that will be best suited to your budget and your level of hearing loss. This includes in the ear, in the canal, behind the ear and even invisible in the canal hearing aids. Call Pindrop today at 416-484-4327 to schedule your hearing test. Don’t wait any longer – you can regain your hearing now.